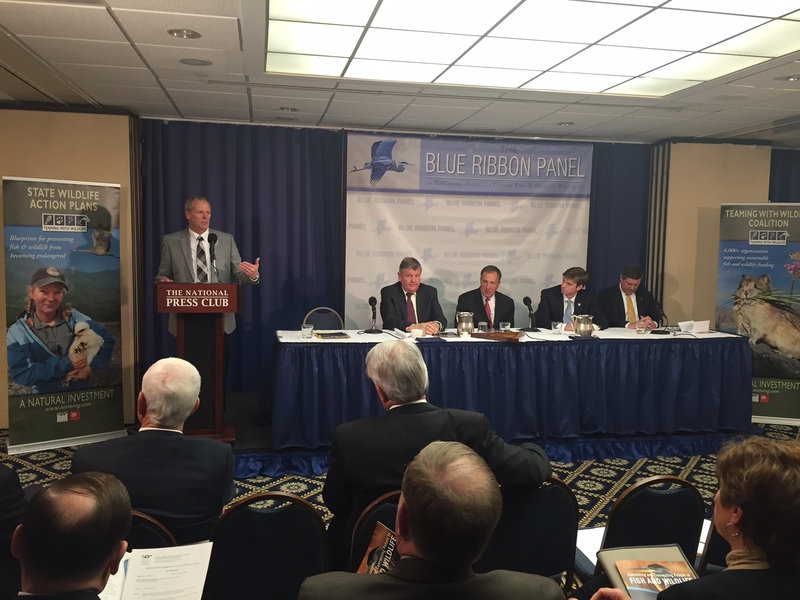 In March 2016, Jodi helped AFWA rollout the recommendations of the Blue Ribbon Panel on Sustaining America’s Diverse Fish and Wildlife at a press conference in the National Press Club. The event was attended by a diverse group of press, state and federal agency staff, and conservation organizations. Following the press conference, there was a significant increase in press visibility resulting in the July introduction of legislation to implement the panel’s recommendations.